Though rarely grown in its wild form, Chilean avens is a pretty clump-forming perennial with delicate red to orange-red flowers. This Chilean native is quite hardy and will add an airy, informal look to the summer garden. Low mounds of fuzzy scalloped leaves ground this plant all year around. These are quite attractive and evergreen in all but the coldest of winters. The red to orange-red flowers are single, rounded, upward facing and have a flourish of yellow anthers at their centers. The blooms rise from tall, well-branched, wiry stems. They first appear in late spring and may bloom sporadically into late summer if well cared for and deadheaded. The flowers are followed by attractive fluffy seed heads that are spread by wind. Chilean avens grows best in full sun or partial sun with some afternoon shade, especially where summers are hot. 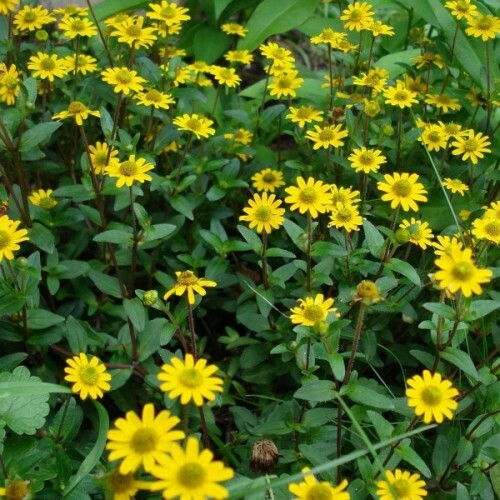 It manages well in average garden loam with ample drainage. 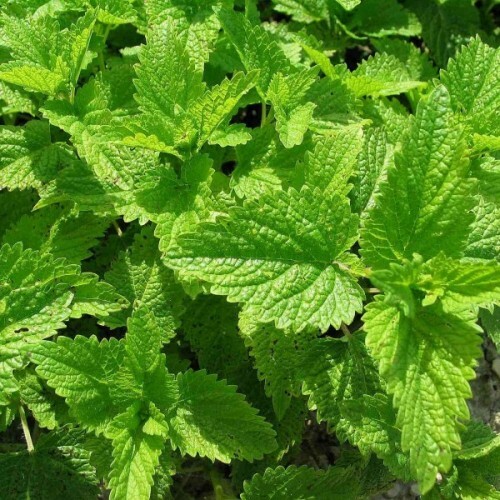 Plants can be short-lived if subjected to cold, wet soil conditions in winter. Healthy clumps should be divided every three to four years. 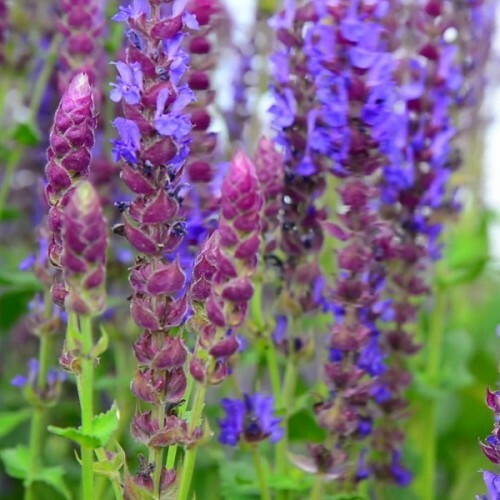 Popular and easy to grow, this fine perennial is grown for its lovely blooms, so it is a great candidate for cottage gardens or any informal perennials border. Its flowers also compliment garden fresh flower arrangements. Approximatelly 40 seed in 0,3g packet. 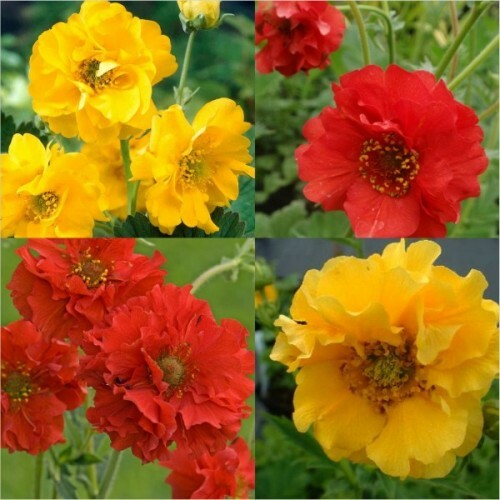 Sow Geum seeds directly in the garden in the spring or summer (May to June), up until 2 months before the first killing frost. Maintain a temperature of +18-22C within the growing medium. Double, salmon rose annual Aster with radiating petals.Excellent cut flower with 6 to 8 stems pe..
Intensively scented, ground-covering cushion plant for large-scale plantings. 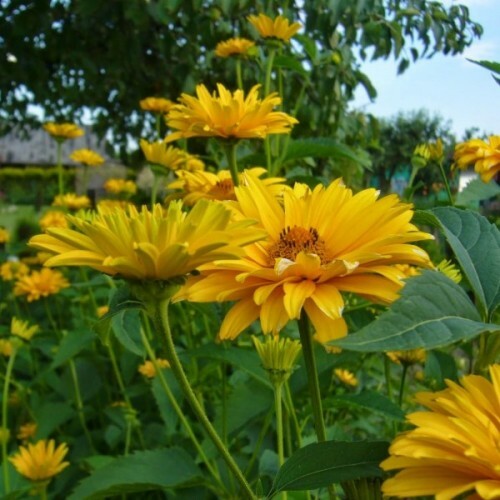 Also suitable for ..
Heliopsis helianthoides var. 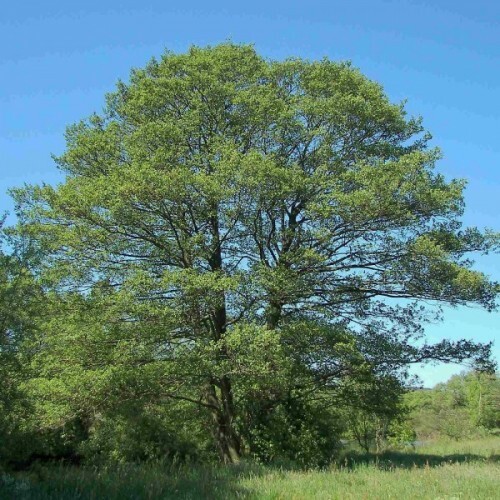 scabra, commonly called ox eye, is an upright, clump-forming, nearl..
Black alder is a medium-sized, fast-growing, deciduous tree native to Europe, western Asia, and ..